There’re some requirements you have to meet to be eligible, but if you can meet them and verify your insurance, you can get $25 sent directly to your PayPal account. Here’s some information on the requirements and what to expect. You bought insurance through your state exchange, Healthcare.gov, through a broker, or directly through a health plan like Oscar or Aetna for 2017 or 2018. If you can meet these requirements, you can start the survey at Joany.com! Once you finish the survey, a Joany staff member will review your responses. If any additional information is required (seems like there usually is) they will send you an email with what you need to provide. Once no other information is needed, you’ll get paid $25 via PayPal or Amazon gift card. Most of the questions are general information about yourself/family and the insurance that you currently have. It does require you to send in a picture via email or text of your insurance card or a statement of your insurance. The original survey should take about 10 minutes to complete and just a few more minutes if you need to provide additional information! I did not qualify for the survey, but I did some research and when they ask for additional information it usually has to do with proof that you actually have that insurance. Which can usually be solved by snapping a few pictures. There is a way to earn more, and that’s by referring your friends to take the survey. Once you complete the survey, Joany will send you a referral link that you can share with friends. You’ll earn $25 for every friend that you refer that completes the survey and is eligible. If a referral does not qualify you do not get paid. Anyone can refer friends; if you’re not eligible yourself for the survey, you can still take it and get your referral link. Here’s proof of a $25 payment straight to my PayPal account! If you meet the requirements or would like to take the survey to get a referral link, you can visit Joany.com to get started! 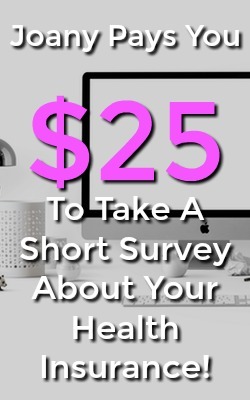 Thanks for reading about this unique opportunity to get paid $25 for taking the health insurance survey at Joany. If you have any questions, feel free to leave comments below! 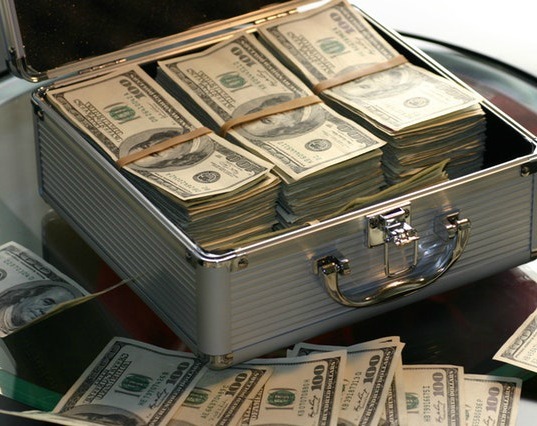 Even if you do qualify this is just a one time earner unless you refer friends, make sure to check out these other helpful links to find other ways to earn all the time! If you have any questions about Joany, feel free to leave comments below!